James Cagney, Margaret Lindsay, Ann Dvorak et al. Brick Davis is a New York City lawyer who is supported by a local mobster, "Mac" MacKay. Despite this crooked backing, Davis is doing his best to build an honest law practice. 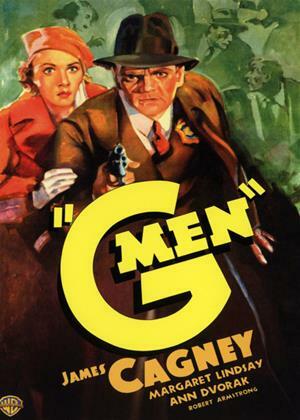 When Davis' buddy, a federal agent or "G-man," is killed by gangsters, Davis decides to go to Washington and take up the badge himself in order to bring a career criminal to justice. Relying on a tip-off from his former flame, Jean, Davis tracks down the criminal.